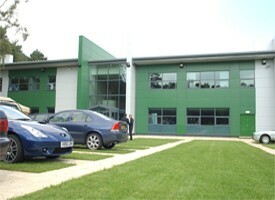 Fibresand International are based and operate in the United Kingdom and extensively internationally. We have been successfully manufacturing the professional and quality range of Fibresand products for over 25 years. With a wealth of knowledge of surface solution construction, sand technology and manufacturing processes, FSI is well equipped to provide quality solutions to a wide variety of applications within the Landscaping/Amenity and Construction Industry. Whatever your requirements we can provide you with a choice of a traditional sand based surface, gravel/grass grids or a natural green solution. 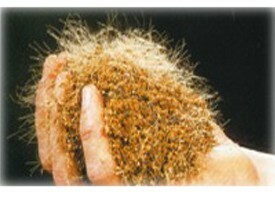 Researched by the world famous Cranfield University, endorsed by the United Kingdom Fire and Rescue service and used extensively in fire access roads, car parking and high traffic pedestrianised areas throughout the world, Fibresand is a proven system capable of repeatedly handling wheel loads of up to ten tonnes in severe weather conditions. By our insistence on inert, environmentally safe components, and being virtually undetectable once installed, Fibresand becomes the natural choice for environmentally sensitive projects where erosion through foot or vehicle use is a constant dilemma. Rot-proof polymer fibres in the root zone assist the growth of healthy grass through acting as conduits for air and water to a greater depth thereby drawing the roots downwards. Fertilisers, weed killers and normal turf maintenance techniques have no adverse effect on the fibres. These properties contribute towards a genuine green amenity surface. Fibresand's immense strength is derived from the interaction of the sand grains and millions of fibres present in the surface, making Fibresand capable of handling heavy traffic immediately after installation. This added strength and stability also allows Fibresand rootzone to maintain steeper slopes and the fibres assist in resistance to erosion, allowing creative architects to exceed their normal design parameters and produce some stunning effects.